Shaheed El-Hafed, May 27, 2018 (SPS) - President of the Republic, Secretary-General of the Polisario Front, Brahim Ghali, will begin a state visit to the sisterly Republic of Namibia at the invitation of his Namibian counterpart, Dr. Hage Geingob. During the three-day visit, the two presidents will review bilateral relations and means of enhancing them and the latest developments of the Sahrawi issue at the African and international scenes. 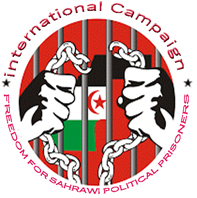 London, May 27, 2018 (SPS) - Adala UK, an organization based in London which deals with human rights in occupied Western Sahara, said it is “extremely concerned” about the extent of Moroccan intimidations and arbitrary detentions against Sahrawi journalists. Madrid, May 27, 2018 (SPS)- Spanish parliamentary intergroups “Peace and freedom in Western Sahara,” met recently in Zaragoza, issued a statement in which they renew their commitments to the cause of Western Sahara and the right of the Sahrawi people to hold a referendum on self-determination. Rome, Italy, May 26, 2018 (SPS) - The African ambassadors accredited to Italy on Tuesday celebrated Africa Day in the presence of the representative of the Polisario Front, Amih Omar, and prominent Italian and European personalities. Katmandú (Nepal), May 23, 2018 (SPS) – International Secretary of Saharwi Youth Union (UJSARIO), Hamdi Omar takeS today part at the General Meeting of World Federation of Democratic Youth WFDY in the capital city of Nepal, Katmandú scheduled to last two days. Bir Lehlu, May 22, 2018 (SPS) - The President of the Republic, Secretary General of the Frente POLISARIO, and Mr. Brahim Gali has Monday sent a congratulatory message to his counterpart, President of Venezuela, Mr. Nicolás Maduro for his re-election as the President of the Bolivarian Republic of Venezuela, wishing him "success and success at the head of the highest Venezuelan judiciary." Harare, May 21, 2018 (SPS) - A special envoy sent by the Saharawi Arab Democratic Republic President Brahim Ghali, has paid tribute to Zimbabwe for its continued support for the Saharawi Republic’s right to exist as an independent state in line with the resolutions adopted by the African Union. Tifariti (Liberated Territories), May 21, 2018 (SPS) - President of the Sahrawi Arab Democratic Republic (SADR), Secretary General of the Polisario Front, Brahim Ghali, affirmed that the Moroccan Kingdom violated the international legality by its military invasion of Western Sahara on 31 October 1975 and also violated the international law and the international humanitarian law by committing horrible crimes against the Sahrawi people. Tifariti (Liberated Territories), May 21, 2018 (SPS) - President of the Sahrawi Arab Democratic Republic (SADR) and Secretary General of the Polisario Front, Brahim Ghali, reaffirmed Sunday in Tifariti that the Polisario Front was ready to engage in direct negotiations with Morocco in good faith and without preconditions, urging Morocco to ensure that "reason will prevail."